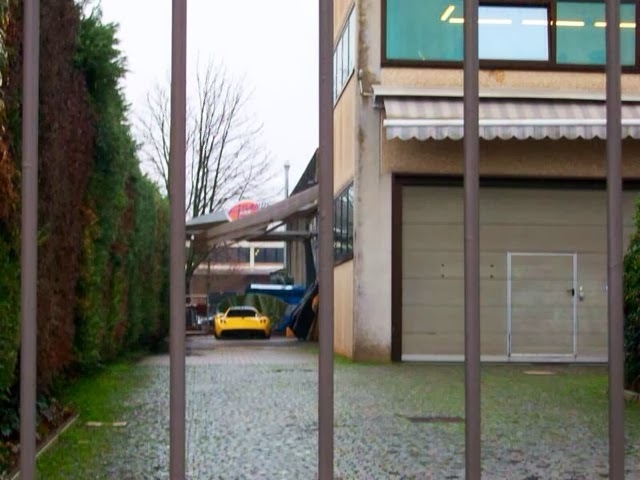 A brand new Pagani Huayra has been spotted at the Pagani headquarter during a recent factory visit. The car is completed and it is finishing the latest tests before the delivery. This is the very first Pagani Huayra finished in fully Geneva Yellow II body paint (most Zonda Roadster S feature this colour). For the moment our only certainty is that the car is left hand drive but the destination country is unknown. Even the cockpit configuration is unknown but I would like to see a black bull leather with yellow stitchings which would match perfectly with black wheels and yellow brake calipers. I really hope to see more pictures of this car on road soon!